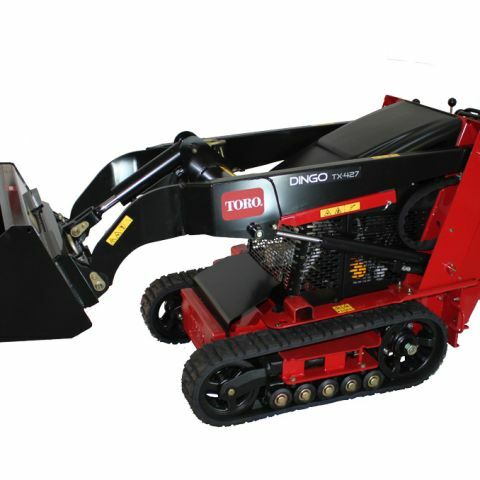 Designed for brush and thick wooded weeds, the brush cutter cuts a 26 inch wide path through the densest of brush, wooded weeds over 6 feet tall, saplings up to 2 inches in diameter and other problem vegetation. Most Portland area home and landowners rent this machine for clearing blackberry bushes. 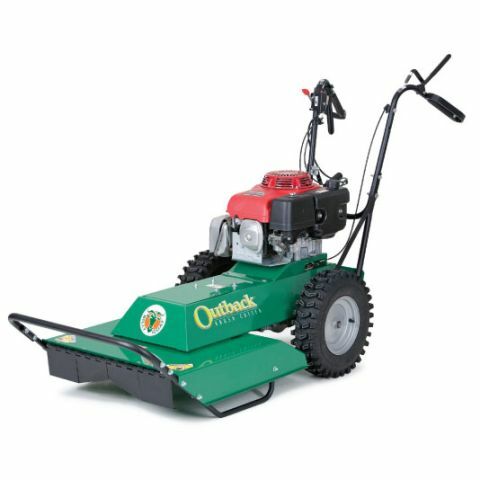 This machine is not effective as a finish lawn mower and is not designed for cutting light grass. Constructed of heavy steel, this machine can take the knocks, and with 16-inch puncture-proof tires, provides a solid and stable work platform. It has three forward speeds, and -- thank goodness! 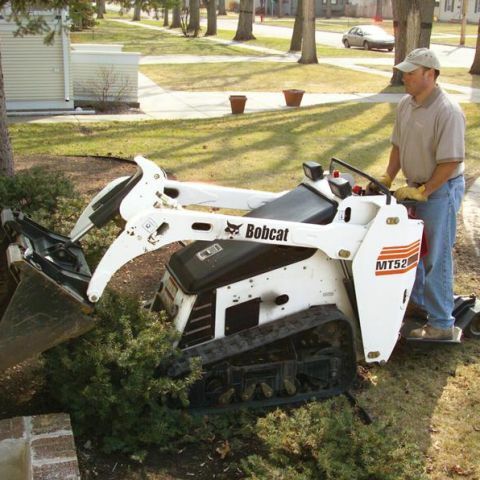 -- a reverse gear so you don't have to use brute force to pull the brush cutter rental out of jams or tight spots. 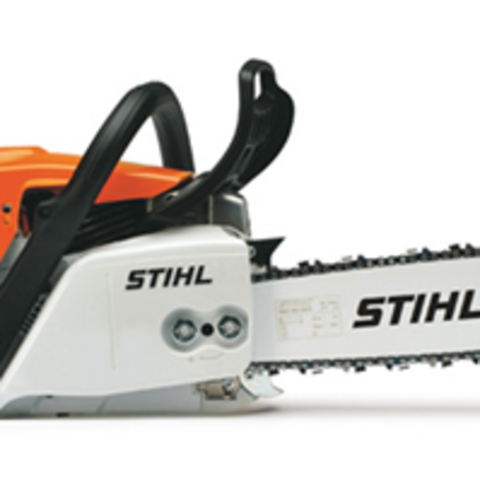 The knuckle guards on the handles are a good example of excellent overall design of this proven powerhouse. 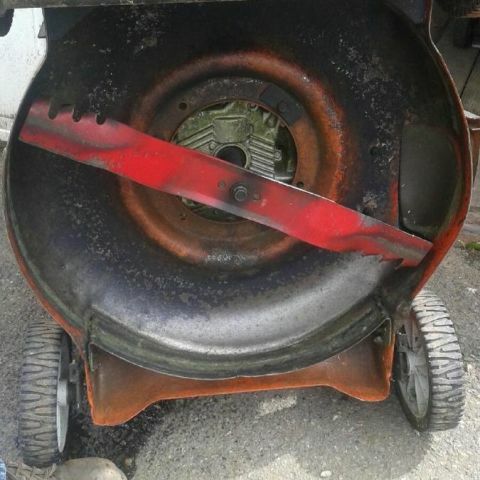 By the way, power is the key word here -- but the only possible knock against a brush cutter is that it's you might call a brute-force instrument -- if you have to do any brush-clearing along edges and perimeters, you might want to add on some equipment that's a little more delicate. How big or tall brush can I cut? 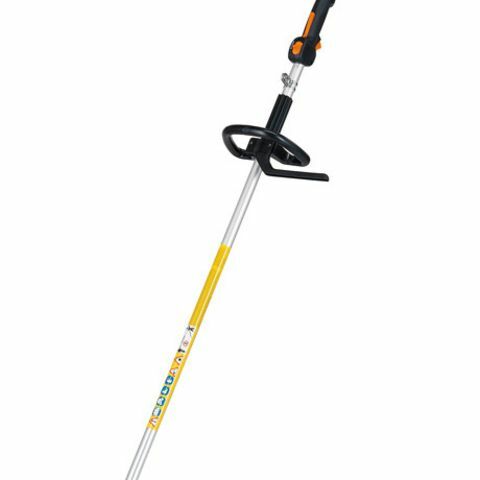 Billy Goat brush cutter rentals can work through weeds and brush as high as eight feet, and saplings up to 2 inches in diameter. How fast does it cut through brush? That varies depending on conditions, but generally you can assume a work rate of about two hours per acre. 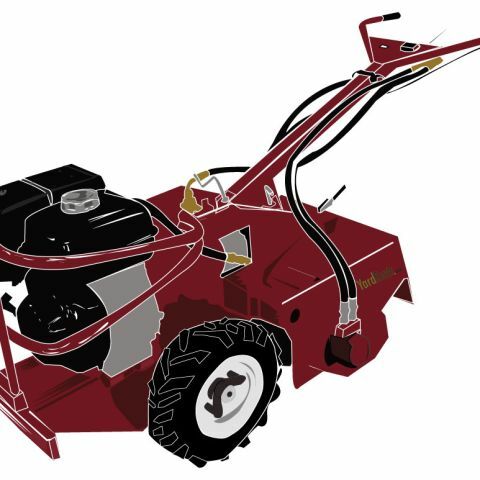 What is the maximum slope on which I can operate the brush cutter? Never mow on a slope greater than 15 degrees. Always mow across the face of slopes, never up and down or diagonally. Do not attempt sudden starts or stops when mowing or on a slope. Avoid sudden turns and use extreme caution when changing directions on a slope. As you walk, tall vegetation if first bent over and cut about 3" off the ground. The debris is then worked inside the cutting deck, finely chopped and forced down into the ground. The deck is designed specifically to process vegetation as quickly as possible so that debris won?t interfere with cutting action. For a couple of reasons, walk the area before you charge into it with the brush cutter. 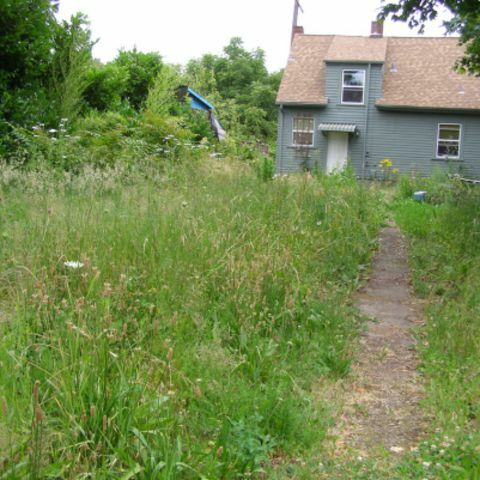 Many overgrown areas are home both to unwanted plants and some you may want to keep. Take the time to identify and mark any plants you might want to save. Also, while brush cutters are extremely tough, keep a sharp eye for sections that may be too steep, and obstacles you'll want to avoid. Be a fair weather brush cutter! Wet conditions can sharply reduce the productivity of a brush mower rental. Consider the weather forecast and dampness of the work area before renting a brush cutter mower rental to make sure it's dry. DO: Protect yourself! Wear appropriate ear and eye protection, and heavy boots and gloves. Also, avoid wearing any loose clothing, which could get caught in the equipment or brush.